Information Kenomee Trails System is a network of hiking trails located in West Colchester, which highlights the Economy River, gorges, waterfalls and the Economy River Wilderness Area. 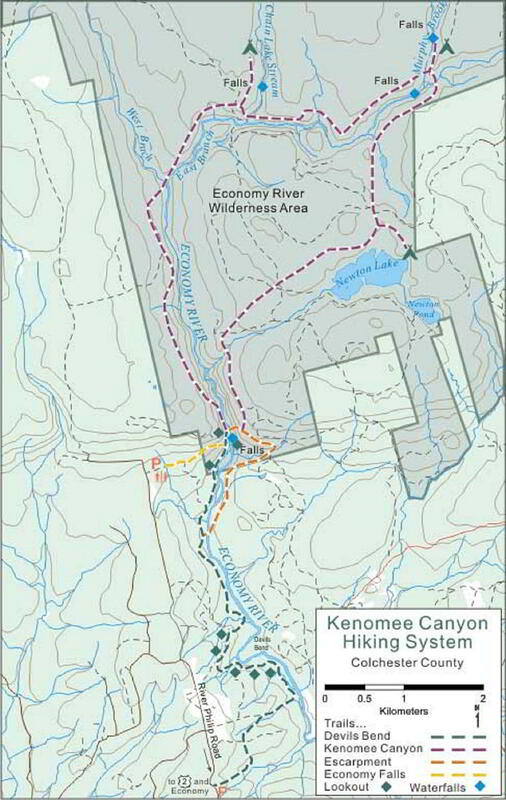 These trails are managed by the Kenomee Trail Society. Access to Economy Falls, Kenomee Canyon and Cobequid Escarpment trails can be found at 1396 River Phillip Road, and access to Devil's Bend Trail can be found at 920 River Phillip Road.